Hi everyone! Today I'm excited to show you an early preview of my new sets coming out this Thursday, September 4th in the Avery Elle store! 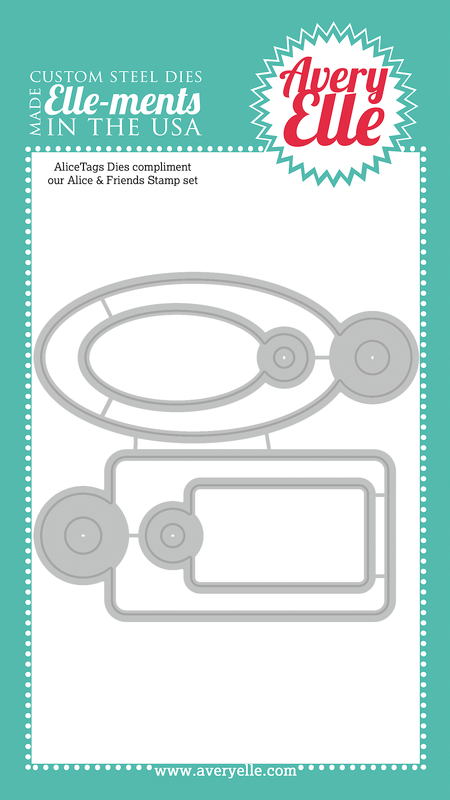 The first set I want to share is the new Alice & Friends stamp set and 2 sets of coordinating dies. Just like the Red & Goldie set released earlier this year, this set is a collaboration between my son and me and features hand drawn figures. 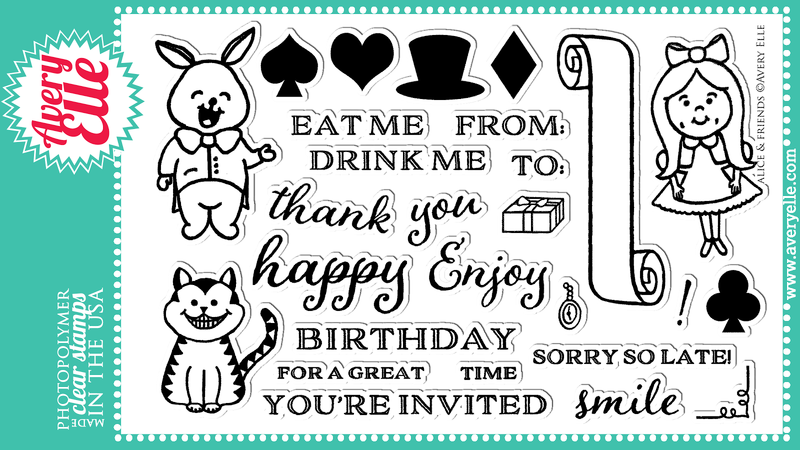 There are two sets of dies, one for the images in the stamp set and a companion tag set so you can make all kinds of fun party tags with the "EAT ME" and "DRINK ME" stamps. 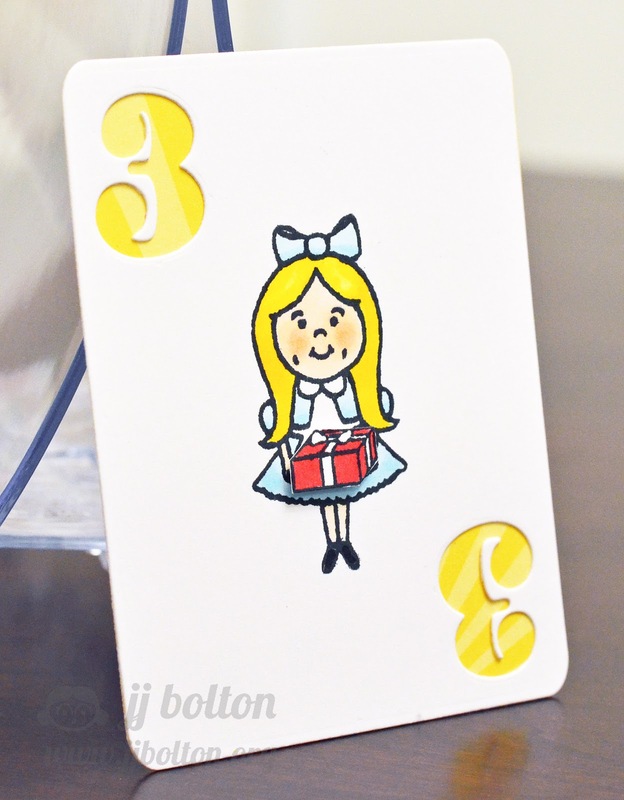 I'll be showing more Alice & Friends projects later this week, but here's a little gift enclosure card I made with this set:) It's a 3X4 size, and it will be a fun little keepsake to keep in an album after the party. I used the Count on It number dies to make it look a little like a playing card. The patterned paper is from one of the new Avery Elle paper packs. 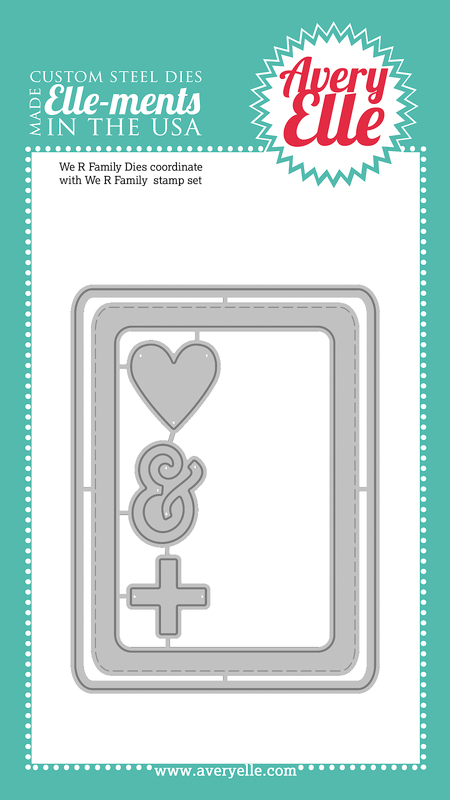 This release, I also designed the We Are Family stamp sets and dies. 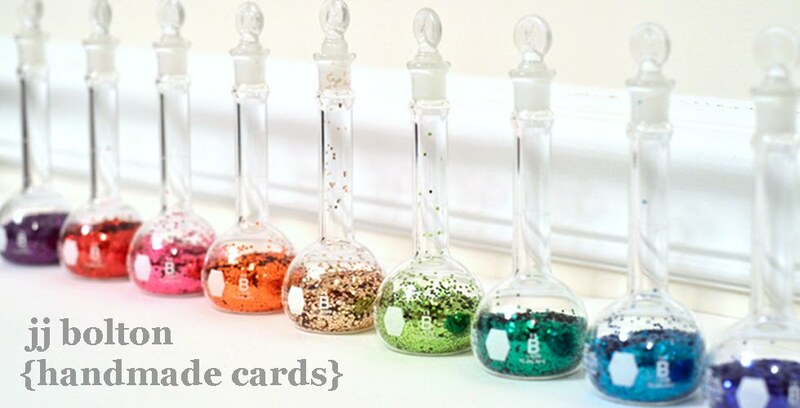 These stamps can be used for cards or scrapbooking. I only recently took up scrapbooking and I couldn't find just the right stamps for my family pics. Just like before, I figured if *I* was looking for these stamps, *someone else* must be too:) There were too many stamps to fit into one set, so there's a big 4X6 set and a small 4X3 add-on set. I can't wait to see what you all do with these stamps! I also have a coordinating die that cuts a 3X4 rounded corner panel. It also comes with a die that allows you to cut an embossed stitch frame (stay tuned later this week for more info on how that works:). 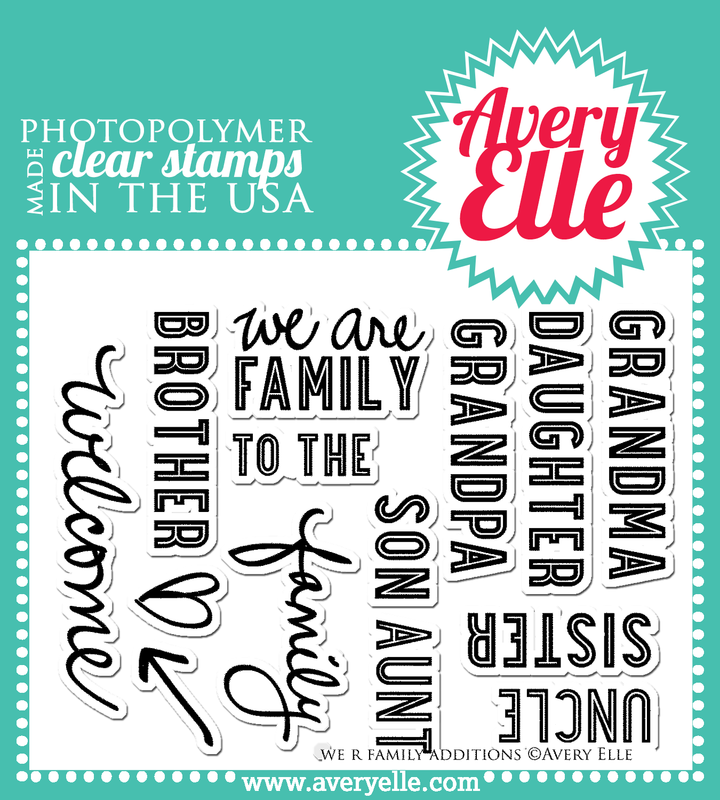 BTW, the papers are an assortment of patterned papers from the new Avery Elle 6X6 packs. I love that they match the AE inks! All the pages are double-sided, so that little pad goes a long way! Thanks so much for stopping in! Don't forget the new release will be available on Thursday, September 4th in the Avery Elle store. Be sure to come back on tomorrow (Thursday) to hop with the entire DT gang featuring the entire Fall release:) There are so many fun goodies this release and we've new DT members, Katie and Karolyn too! JJ, these are so fabulous! I love the Alice set so much! Your card is adorable!!! The Alice set is SO FUN!!! I love your new sets (kudos to your boy too)!!!!! How fun and your layout is AWESOME. JJ, these are fantastic! I'm loving all the new stuff, and I love the layout! Loving the leaf cutouts and the stitching, you're a natural! JJ what awesome stamp sets and even cooler LO! Amazing JJ!!! Congrats on another amazing release of your stamps!!! LOOOOOOOOVE your drawn images!! And i especially just love that you collaborate with your son! So heartwarming!! Your new stamps are just amazing!! 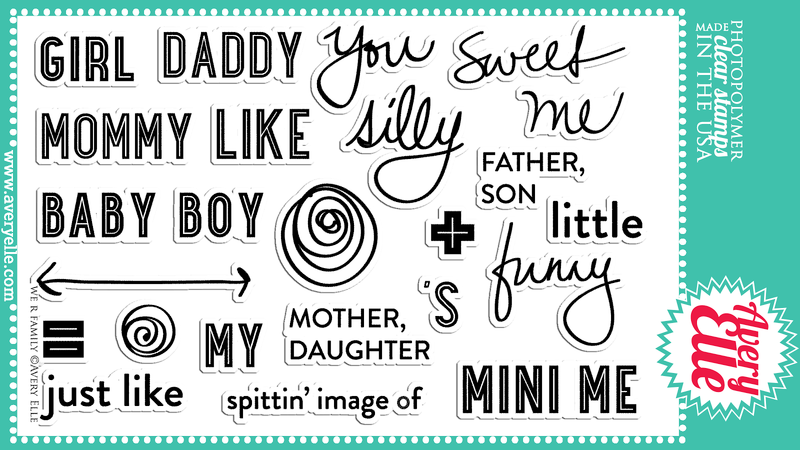 Such fun designs and sentiments!! Love your layout too! That's fabulous! These are simply, AMAZING!!! Stamps and projects...you ROCK! 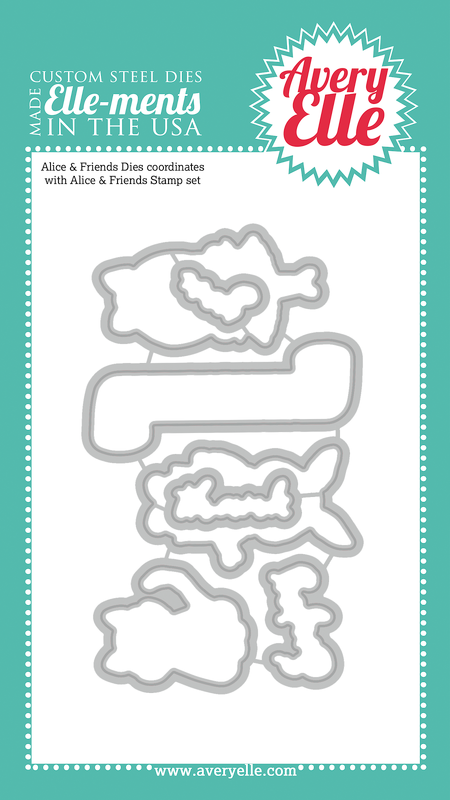 Oh, JJ...Firstly, I have to say that I really love how you and your son collaborated on the Alice & Friends stamp set! The figures are so cute and fun, and I love your playing card! So clever! I also love your layout! 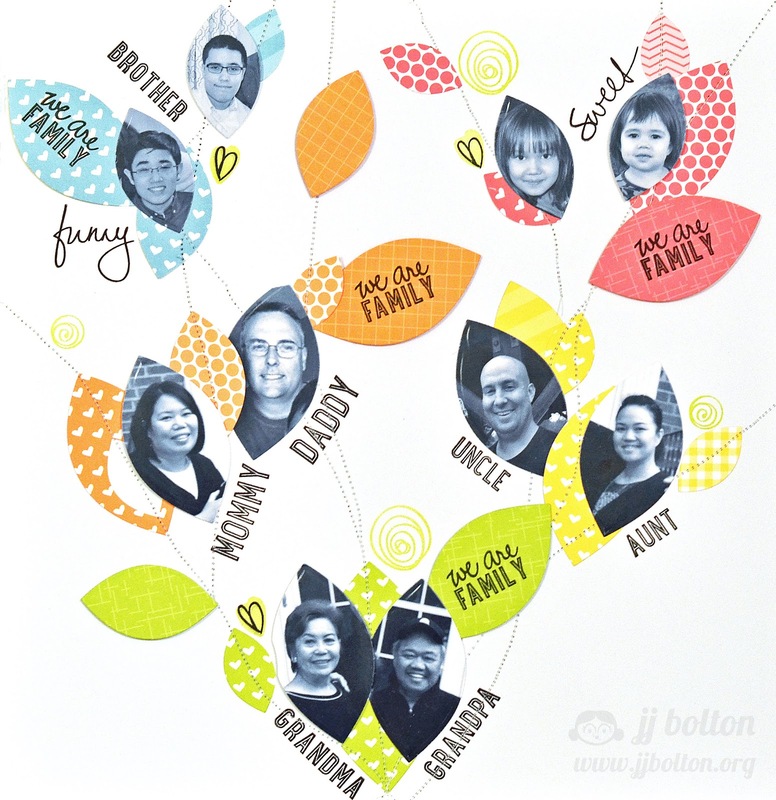 What a fun way to pair the Modern Leaves Dies with the We Are Family stamps! The papers are so pretty, too! Thank you so much for sharing your projects with us! I just love the family tree!!! how cute! Studio Calico The Underground Reveal!